Summer is indeed scorching hot! There’s no better way to quench our thirst and cool our body with refreshing drinks from McDonald's. 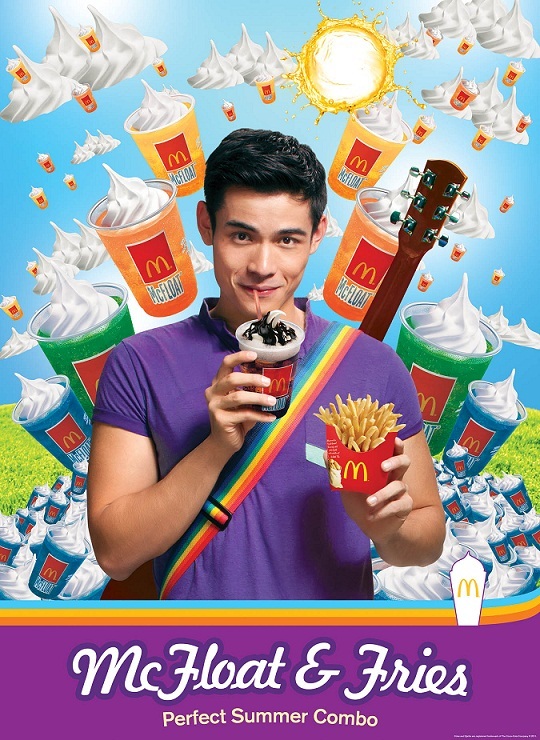 McDonald’s is offering a soothing symphony of flavors with the new McFloat Summer Medley—featuring four (4) new McFloat variants and McDonald’s newest brand ambassador Xian Lim, who was last seen in My Bindondo Girl, a teleserye of ABS-CBN Channel 2. 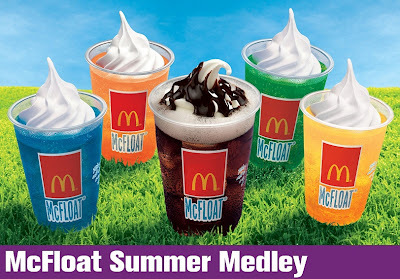 McFloat Summer Medley features four new exciting flavors: (1) Blueberry Sprite McFloat, (2) Green Apple Sprite McFloat, (3) Four Seasons Sprite McFloat, and (4) Honey Banana Sprite McFloat. These new flavors are available in two sizes: Regular for P29 and Monster size for P45. The classic Coke McFloat is still available for P25 regular and P40 for Monster size. McDonald’s McFloat Summer Medley also includes affordable snack combos. For P50, you can get a Regular Coke McFloat + Medium Fries. For P55, any of the four new regular-size McFloat flavors + Medium Fries. Xian Lim loves to hang out with friends and have some fun. “Summer is one of my favorite times of the year because you can relax and just have fun. I’m happy that I can help bring a little bit of summer to everyone this year,” says Xian. McFloat Summer Medley is available in all McDonald’s stores nationwide - dine-in, take-out or drive-thru. You can also dial McDelivery 8-6236 or visit www.mcdelivery.com.ph to enjoy the McFloat Summer Medley anytime, anywhere. For more information on the latest promos, visit www.mcdonalds.com.ph.